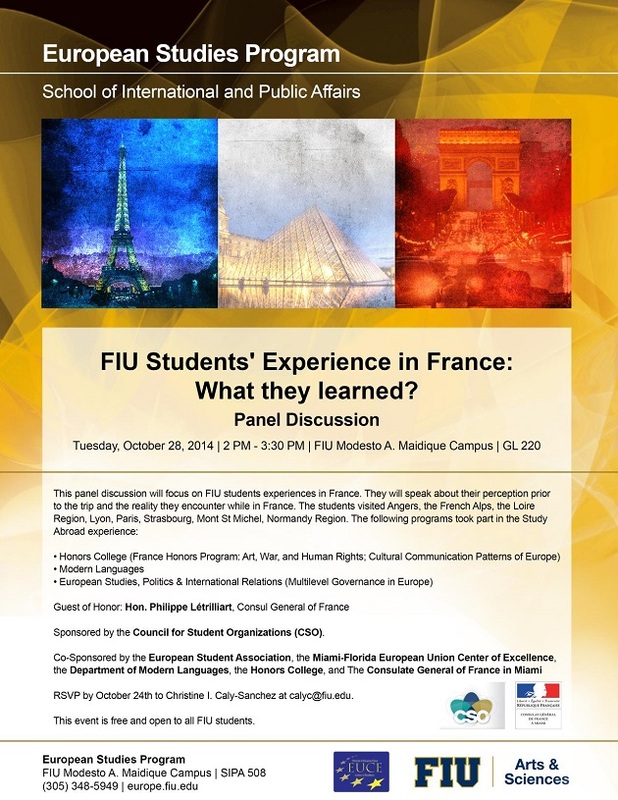 This panel discussion will focus on FIU students experiences in France. They will speak about their perception prior to the trip and the reality they encounter while in France. The students visited Angers, the French Alps, the Loire Region, Lyon, Paris, Strasbourg, Mont St Michel, Normandy Region.